If you’re interested in software development you might have heard of the role of Product Owner. But what is it exactly, and what do you need to become one? 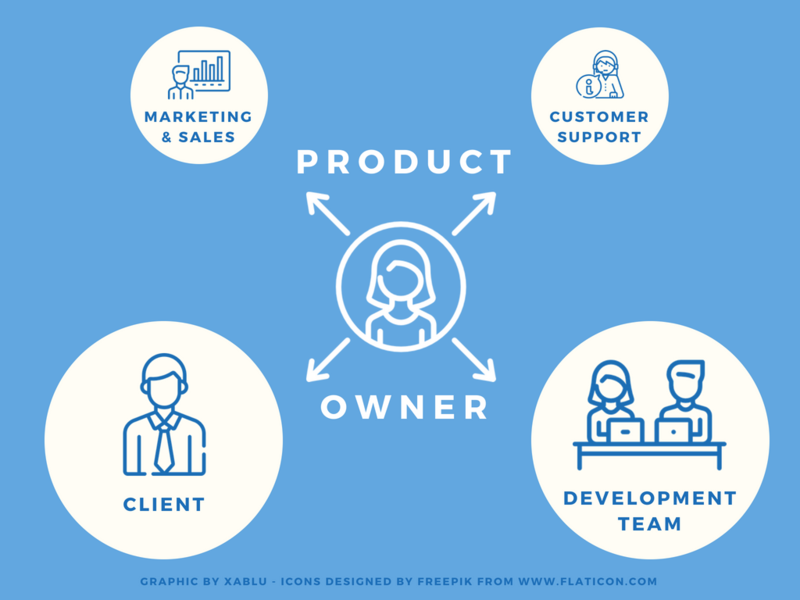 Simply put, the Product Owner is the key person responsible for a product under development, and acts as the central liaison between all stakeholders. This could include the marketing and sales teams, the development team, and the customer support team, among others. Here at XABLU we specialize in developing cross-platform Xamarin mobile apps, so for us the Product Owner is the person at the centre of our projects, communicating and translating between our clients and development team to keep everyone on the same page and satisfied. 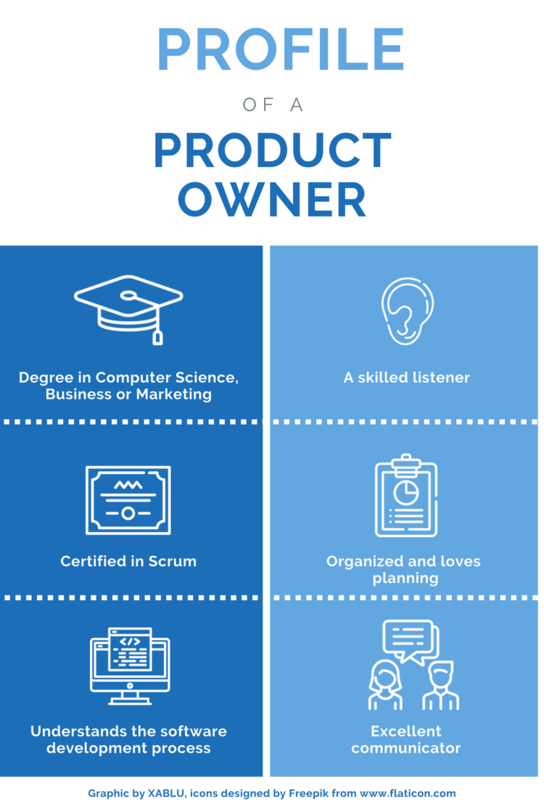 What exactly does a Product Owner do? A role that comes from the world of Scrum, the Product Owner understands the product vision and roadmap in and out, and prioritizes the features in the product backlog to plan each sprint with the development team. They write the cards for Scrum and make sure the right product is being developed. They regularly give progress updates to the client and discuss their expectations and feedback, using this to refine the next sprint. The success and efficiency of the app development project, as well as the satisfaction of both the client and the developers, is hugely influenced by the Product Owner. This is definitely a job where you can make a real impact! In our experience, an important task that is sometimes overlooked is to challenge the client. 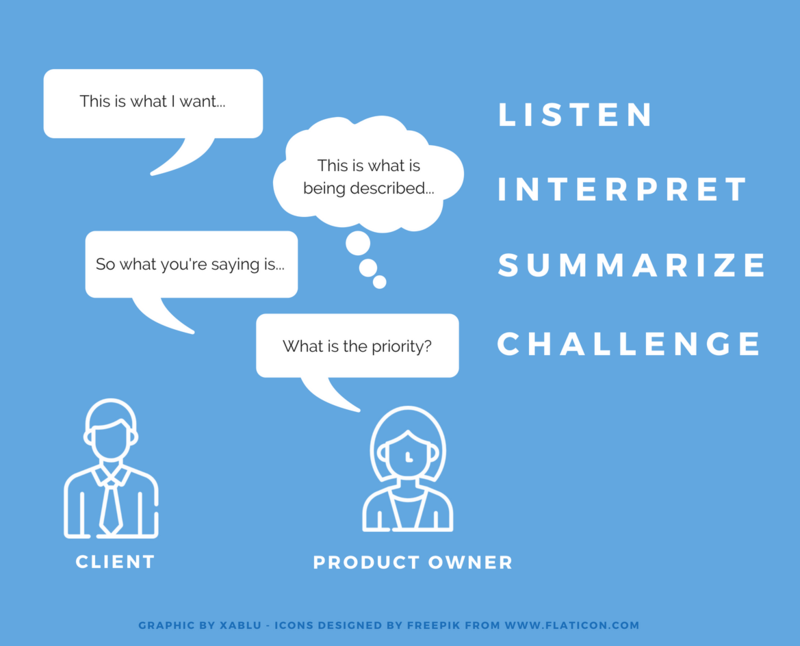 This means really listening to what they say they want, interpret what they mean, summarize it, and challenge them on it: “Do you really need this feature? Is this what you mean? 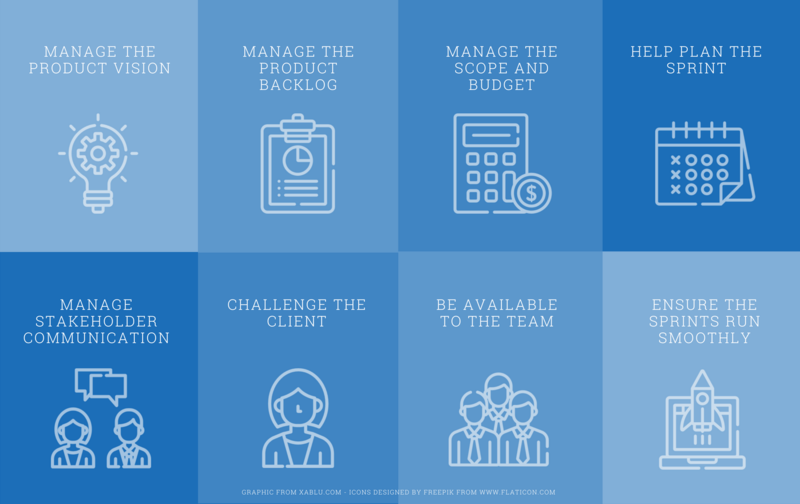 Which features are true priorities?” By doing this, both the Product Owner and the client can get a full understanding of what the product should look like and make sure the final product matches these expectations. So what sort of profile do you need to become one? Product Owners can come from a wide range of educational backgrounds – in this role it’s the skills and experience that count for a lot! Some areas of study that fit best include Computer Science, Business and Marketing. While first-hand coding experience can be very valuable, it isn’t necessary, though a solid understanding of the software development process is important. Ideal skills and personality traits to have include the ability to listen and synthesize information, the confidence to challenge the client and the ability to motivate the team. Strong planning and organizational skills are also key. To really understand the role and perform well within the Scrum framework, you should look into getting certified – this also provides extra assurance to employers that you’re the right choice for the job! Think you’re ready to launch yourself into this role? We’re currently looking for a Product Owner here at XABLU! If you’ve already got some experience under your belt, take a look at our Product Owner job post. If you’re a university student looking for your first position, learn more about our Internship/Graduation Assignment opportunities. Who knows, maybe next week we’ll be introducing you on the blog as our newest team member!